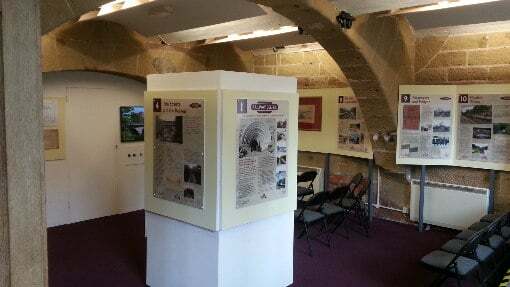 An exhibition outlining the story of railways in Belper. A defining feature of Belper is the busy main line railway that runs through the middle of the town. Originally opened by the North Midland Railway in 1840, it was part of a 73-mile route connecting Derby with Leeds. Then as now, it formed a key link in the national rail network. In our new temporary exhibition you will find an account of how that railway came into being and the way it has developed over the last 180 years. Contrasting with this is the tale of an earlier and almost forgotten line – the Belper & Morley Park Railway – a primitive horse-worked tramroad, just 3 miles long. Dating from the period of the Napoleonic Wars and built to bring coal into the town, much of its history is now lost, but remnants can still be found if you know where to look. For a couple of decades in the middle of the 19th Century the North Midland, recognisably modern with a continuous stream of passenger and goods trains hauled by fiery steam locomotives, and the Belper & Morley Park line, antiquated and dependent on plodding horses, co-existed just 1 mile apart. But there are other stories to tell as well, including the all-important role of the Strutts, cotton spinning magnates and benefactors to the town. In one way or another, they influenced almost every aspect of Belper’s early railway history, but their activities still require further research before they are fully understood. 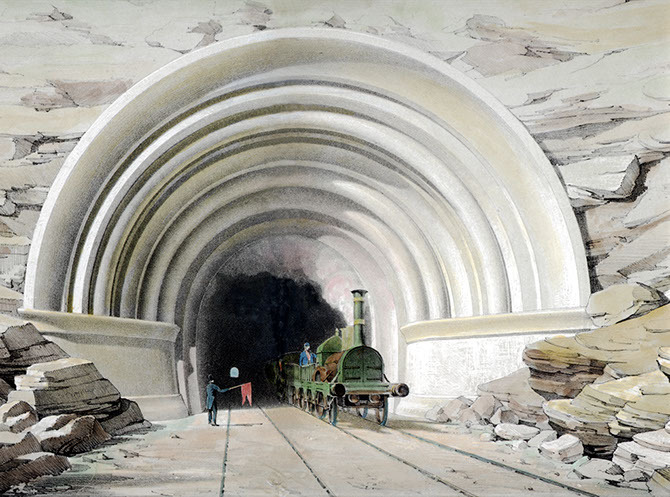 Then there is a catalogue of civil engineering challenges that continue to play out today. Belper’s location and topography make it a place where transport development is never easy. Not unrelated is the tale of the two stations that have served the town, one current and thriving but which 50 years ago narrowly escaped closure, the other with a long history, though now virtually defunct. And by no means least, how Belper can take pride in having a railway with an architecture that is second to none, with many of its structures in the town listed as being of historic importance.